Come enjoy traditional tunes played by the South Royalton Town Band, while you enjoy a dish of locally-made ice cream. Please bring a chair or blanket. Concert will be cancelled in the event of rain. Donations gratefully accepted. Location: Woodstock History Center’s back lawn. This hike, which will explore Woodstock’s first golf course on Mount Peg, will be led by local surveyor/historian Bob Holt. We will visit a number of the sites on the old course and a fair amount of walking is required. Free, but advanced registration is required. To register, call (802) 457-1822, Extension 2. Experience the family fun of a fair with crafts, games, and treats. Admission is 25 cents. Held rain or shine. Author Yvonne Dailey will share images and remembrances of Vermont’s counter culture movement. Free. Yvonne Dailey will lead a workshop in which she explains how to use techniques for weaving historical, scientific, and cultural information into writing. Free, but pre-registration is required as space is limited. Charlotte Donaldson, author of Life’s Workbook, will lead a workshop designed to help people brainstorm and organize information as a first step to writing a memoir or autobiography. Refreshments will be served. Participants will receive a complimentary copy of Life’s Workbook. Free, but preregistration is required as space is limited. To register, call Jennie Shurtleff at (802) 457-1822, Extension 2. 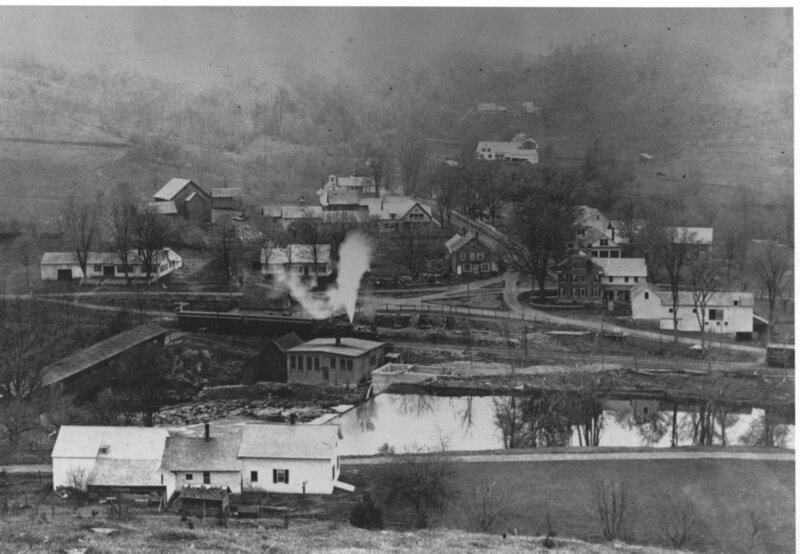 Matt Powers and Jennie Shurtleff, of the Woodstock History Center, will share some of their favorite images from the History Center’s collection. Refreshments will be served. Free. Join freelance ecologist Charlie Cogbill who will talk about the Original Forests of Vermont using three lines of evidence (vegetation zones, empirical data from early land surveys, and information from old-growth stands) to give an updated perspective on local vegetation history. Free. Each year, the Woodstock History Center helps to coordinate and run the Woodstock Elementary School's Fourth-Grade History Fair. Through this program, students work with mentors to research a topic related to Woodstock's History. This year, we are still in need of at least two more mentors. The program begins in early April and concludes in mid May with the History Fair. Mentors meet with their mentoring groups for about an hour and fifteen minutes, three times a week. If you are interested in participating, but can't meet with students three times a week, co-mentoring opportunities are available. No experience is necessary, just a willingness to learn about Woodstock’s history and an interest in working with young people. For more information, please contact Jennie Shurtleff at education@woodstockhistorycenter.org. NOTE THE CHANGE OF DATE DUE TO THE IMPENDING STORM! THIS PROGRAM WILL BE HELD ON SATURDAY, JANUARY 19, NOT SUNDAY, JANUARY 20. Fashion historian Samuel Neuberg will provide a visual survey that shows how the 19th-century silhouette in women’s fashion evolved. He will illustrate his talk using items that he and costume curator Rachel Kurland have selected from the Woodstock History Center’s collection. On Saturday, December 8, from 11 am – 4 pm, the Woodstock History Center will be open with several local artisans showcasing their crafts; a silent auction that includes a wide variety of art, dining, and gift opportunities; and guided tours of the museum. The History Center will also be serving up some hearty soups with a side of corn bread, dessert, and a warm beverage for a small fee. Admission to the artisan workshop, silent auction, and “food court” area is free. A suggested donation for the guided tour of the museum is $5.00/person. Start your Wassail Weekend with a Holiday Open House on Friday, December 7, from 5-7 pm. The Woodstock History Center’s museum will be open with special holiday displays, hot cider, seasonal treats, a silent auction, Celtic music, and more. Free. Program with University professor Luis Vivanco. 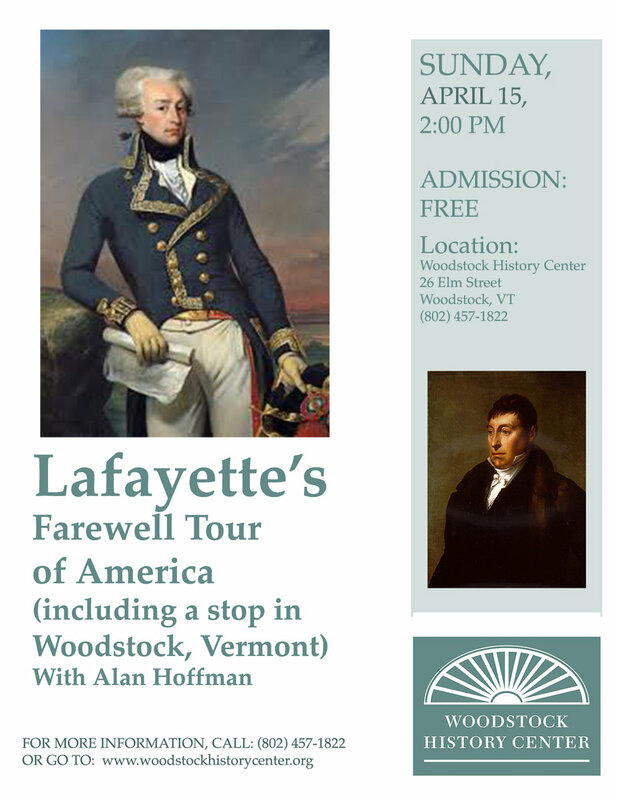 Vermont Humanities Council program hosted by the Woodstock History Center. Free. Beekeeping workshop with Troy Hall of Hall Apiaries. Space is limited. Pre-registration is required. Learn about “50 Years of Cold Regions Research” from Roy Bates, who is a meteorologist, former CRREL researcher, and author of over a hundred articles on meteorology, climatology, and snow and ice properties. Roy will discuss local cold regions, as well as Greenland and the Canadian Arctic. Free. 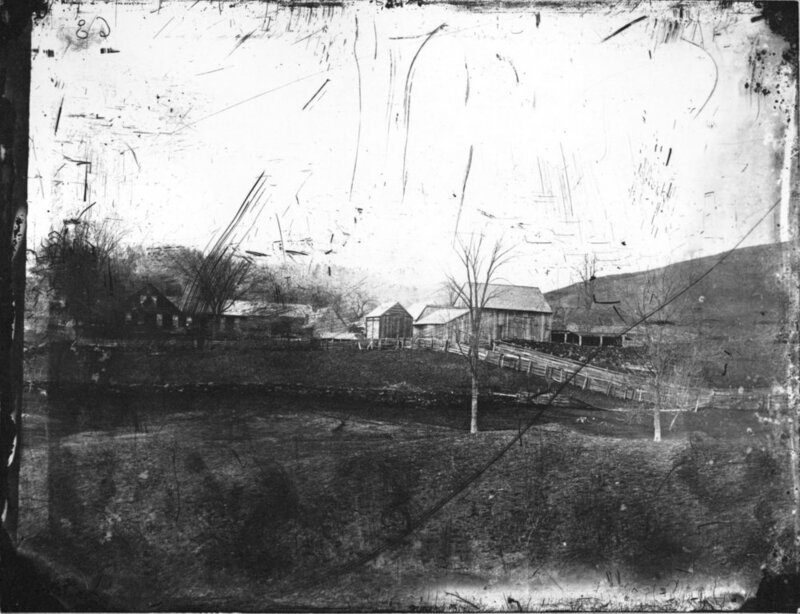 Learn about one of Woodstock's early ski hills and how the land is now used. 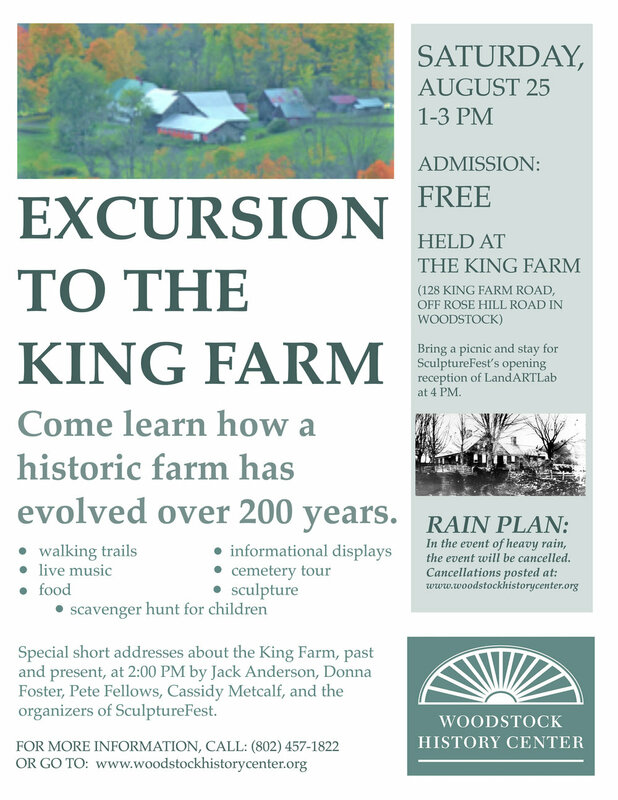 Guided walk, historic photos, artifacts, refreshments and more. Come experience the family fun of the History Center's Old Time Fair with old-time food, old-time games, and old-time prices. Held rain or shine. Hike to the Pogue, located on Mt. Tom, and learn about the history of this fascinating spot. Guided walk, historic photos, refreshments, and more. Free. Food, music, art, hiking, and more. Come learn about the history of this fascinating place. Free. Stroll through the town; look at art and exhibits at the Woodstock History Center, Woodstock Gallery, Fox Gallery, and Gallery on the Green; and enjoy music, light refreshments, and shopping around the Village Square. Free. Join Interplay Jazz & Arts students and faculty as we turn the Woodstock History Center Back Lawn into an All-American music concert & interactive art party! This event is also the kick-off of Pentangle Arts Council Brown Bag series that has been providing music for the community for over 35 years. Jazz is an improvisational music so we also invite you to create some artwork to the music. Materials, tables, paper and paints will be provided or bring your own sketchpad to capture the music on paper. Artwork will be displayed at the Jazz Festival day on Saturday July 1st. Bring a chair and picnic dinner. For 10 years Interplay Jazz and Arts brown bag concert has kicked off the series. Past years included jazz combos, big band and gospel choirs. Interplay Jazz & Arts was founded in 1996 by Fred Haas and Sabrina Brown, and since then it has inspired musicians of all ages from around the world. Common garden vegetables have long and fascinating histories. Science and history writer Rebecca Rupp will discuss the stories behind many of our favorites, among them the much-maligned tomato and potato, the (mostly) popular pumpkin, the Vermont's dynamic duo of kale and Gilfeather turnip. Find out why a lot of us don't like beets, how a 17th-century pirate named the bell pepper, how carrots won the Trojan War, and how George Washington was nearly assassinated with a plate of poisoned peas. A Vermont Humanities Council event. 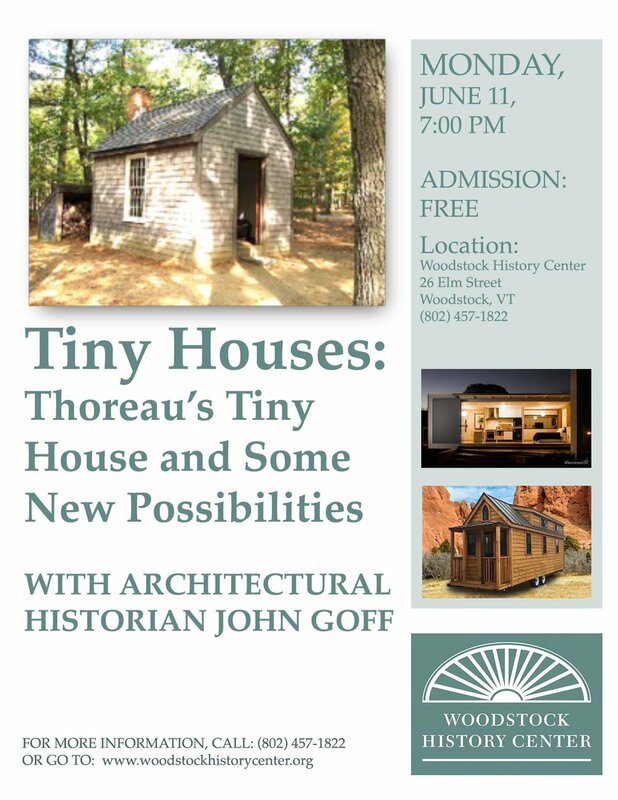 Hosted by the Woodstock History Center. Under grant from the National Endowment of the Humanities (NEH). Any views, findings, conclusions or recommendations expressed in this program do not necessarily represent those of the NEH or the Vermont Humanities Council. George Morrison which will shed light on the life of Benedict Arnold – a man who risked his life and fortune for the cause of America’s freedom, but then defected to the side of the British.